What Happened at the LOREDC August 2018 Meeting? 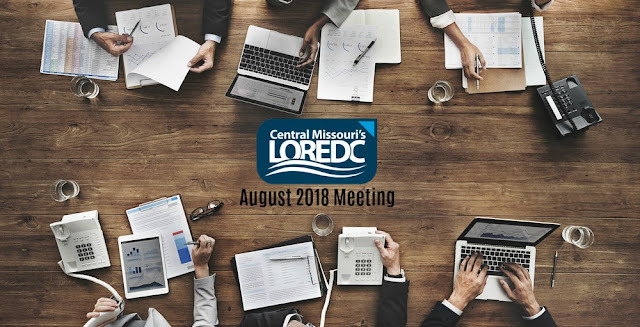 Did you miss the LOREDC member meeting in August? If so, don't worry! The Lake of the Ozarks Regional Economic Development Council has you covered. Keep reading for a complete copy of the agenda that was discussed in the August LOREDC member meeting that took place Thursday, August 16. If you are looking to expand your business to the Lake of the Ozarks, visit our website at www.LOREDC.com for key information that can help you.